Mike Krzyzewski has won in many different ways and with many different players. Below are some of his landmark wins on a way to 1,000 and SI's picks for the first- and second-team All-Coach K.
No. 1 Nov. 28, 1975 Defeats Lehigh, 56-29, for his first win as a head coach, at Army. No. 74 Nov. 29, 1980 Defeats Steson, 67-49, for his first win at Duke. No. 100 Feb. 24, 1982 Defeats Clemson, 73-72, for the 10th and final win of the season. Christian Laettner (1988-1992): How many players make a buzzer-beating 15-footer to send their teams to the Final Four and have it be an almost forgotten part of their career? Only one: Christian Laettner. The 6-10 superstar pulled that feat off not once, but twice, first against Connecticut in 1990 and, more famously, two years later against Kentucky. The latter shot capped a perfect night for the 1992 Wooden Award winner: 10-for-10 from the field, 10-for-10 from the free throw line. Loved by Duke fans and hated by almost everyone else, Laettner was nonetheless a winner unlike few players in college basketball history: He played in four Final Fours and helped the Blue Devils win two national championships. 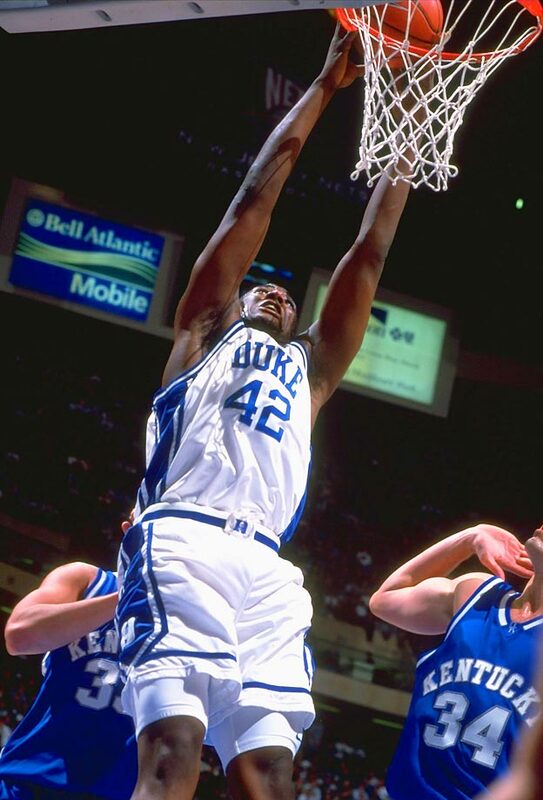 Elton Brand (1997-1999): Duke’s 1998-99 team that went 37-2 is remembered as the more dominant one, but its ’97-98 squad that went 32-4 might have been just as good had Brand not broken his foot and missed 15 games. When healthy as a sophomore, Brand dominated, averaging 17.7 points and 9.8 rebounds en route to national player of the year honors. The Blue Devils were just as overpowering, crushed their competition by more than 25 points per game – right up until a three-point loss in the NCAA finals to Connecticut. 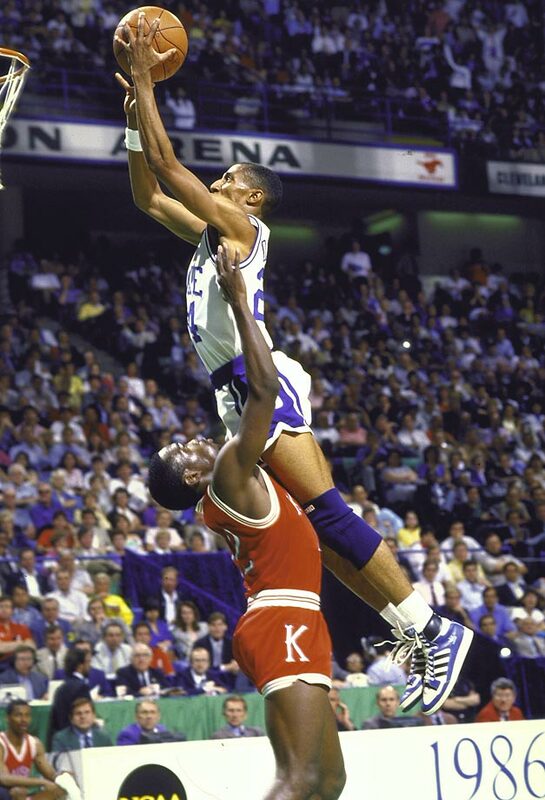 Grant Hill (1990-1994): His spectacular lob dunk early in the ’91 title game over Kansas is sometimes overshadowed by his full-court pass to Christian Laettner that led to the latter’s famous game-winner against Kentucky the next season, but both are representative of Hill’s stellar combination of skills and athleticism. 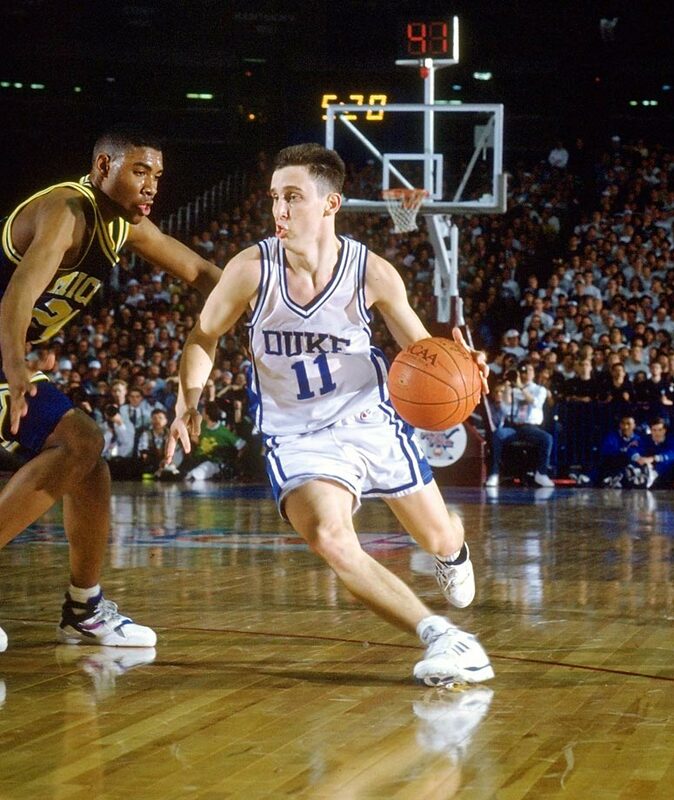 He averaged almost 15 points per game in his career, was a two-time All-America and helped the Blue Devils win national titles his first two seasons, then nearly dragged them to a third as a senior. With a supporting cast that largely sank to the bottom of the ACC without him (and Coach K) the next year, Hill averaged 17.4 points per game in 35.7 minutes, but Duke lost the title game to Arkansas in the final minute. Johnny Dawkins (1982-1986): Krzyzewski’s recruiting class of 1983 is what turned his program around, and the unquestioned star of that group was Dawkins. A two-time first-team All-America, Dawkins was great from the gate but just needed his teammates to catch up. He averaged 18.1 points per game as a freshman when the Blue Devils went 11-17 and 20.2 as a senior when they went 37-3 and took Duke to Coach K’s first ACC tournament title and eventually, his first Final Four, where the Devils lost to Louisville in the final. Danny Ferry (1985-1989): Ferry's Duke teams, which went to three Final Fours but never brought home a national title, are sometimes overshadowed by the Christian Laettner-led squads that won back-to-back championships. But Ferry was a force on offense who could play both inside and outside. Just ask 1988 Miami: Ferry still owns Duke's single-game points record for the 58 he put up on them. He was a second-team All-America in '88 and a first-teamer in '89, when he also won the Naismith Award. Jason Williams (1992-2002): Until his media career began, many unfortunately remembered Jay Williams for his flameout in the NBA. 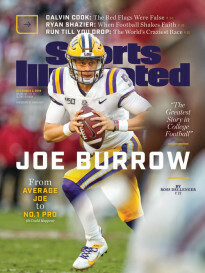 But in college, he was an undeniable talent from Day 1. As a freshman, he averaged 14.5 points, 6.5 assists and 4.2 rebounds a game. 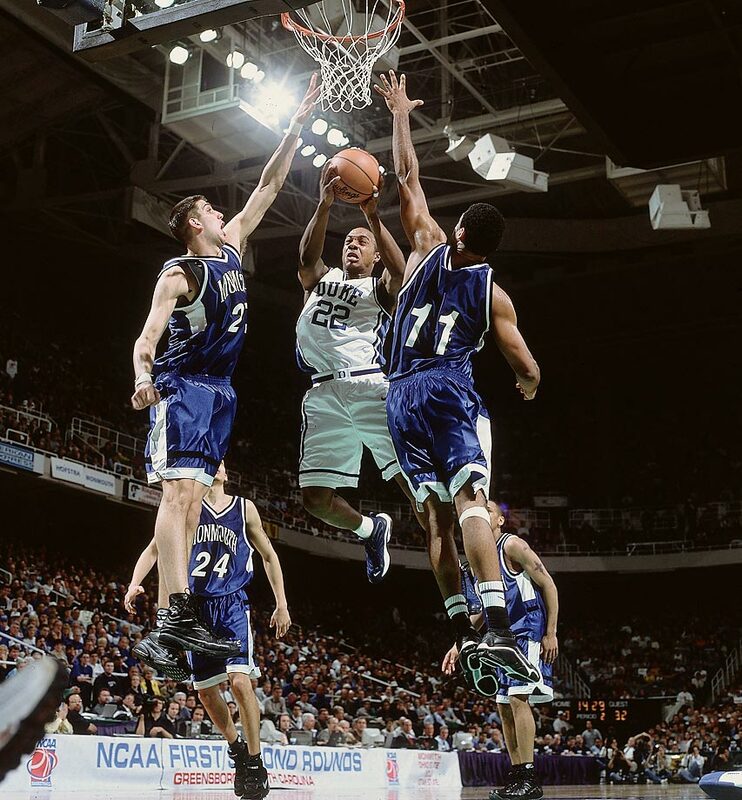 In his sophomore follow-up, he broke Duke's 49-year-old single-season scoring record and led all NCAA tournament scorers en route to the 2001 national championship. He then won the Wooden Award as a junior in '02. 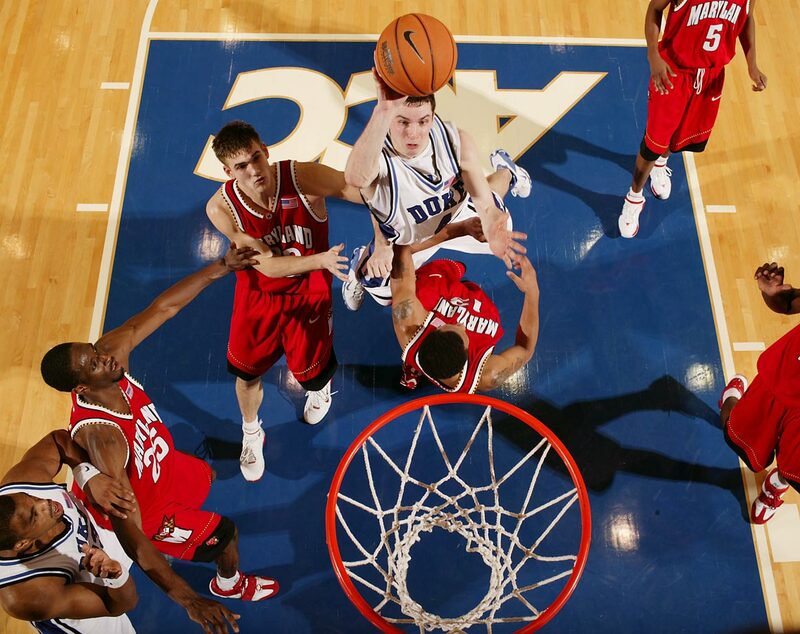 J.J. Redick (2002-2006): Perhaps no modern Duke player was as polarizing as Redick. College basketball fans' feelings about Redick reflected their feelings about Duke: If they loved the school, they loved the player; if they disliked the school, they disliked Redick. But there's no denying what he accomplished on the court. He left Duke as a two-time All-America, a national player of the year and the ACC's alltime leading scorer. His No. 4 jersey was retired the year after he graduated. Shane Battier (1997-2001): The 1997 Mr. Basketball in the state of Michigan went on to become one of Duke's best players, and one of the school's most respected alumni in the NBA. He was a fan favorite in Cameron -- because of his penchant for taking charges, the crowd would chant, "Who's your daddy? Battier!" 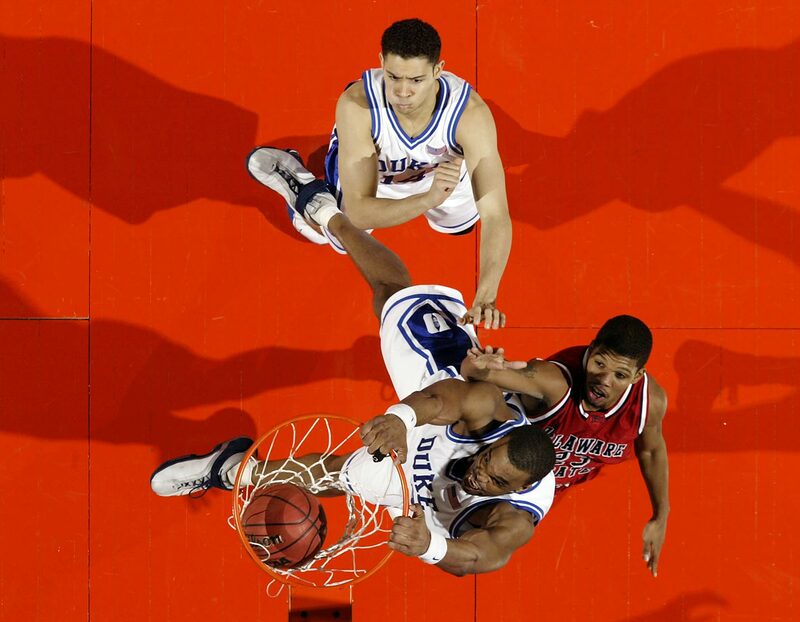 After losing to UConn in the Final Four in 1999, Battier and Duke returned to beat Arizona in 2001 for a national title. 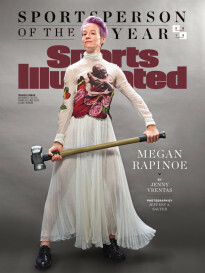 Along the way, Battier swept the national player of the year awards. He was also a three-time defensive player of the year and a two-time Academic All-America. Shelden Williams (2002-2006): Battier is the best-remembered Duke defender because of his success in the NBA, but Shelden "The Landlord" Williams made a case for himself in four years at Duke. He still holds school records for blocks and rebounds in a career and the single-season record in the former category. He finished his college career averaging 13.9 points, 9.1 rebounds and 3.0 blocks per game. He was a two-time NABC defensive player of the year, a two-time first-team All-ACC player and, as a senior, a consensus first-team All-America.